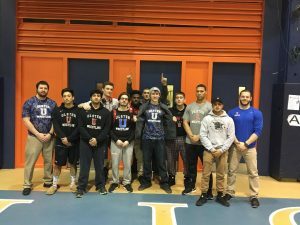 The Ulster Wrestling Team competed at the North East District Championships hosted by Nassau CC. The Senators finished in 3rd place as a team behind host Nassau and Niagara and finished ahead of Mercyhurst NE, Sullivan and Jamestown. 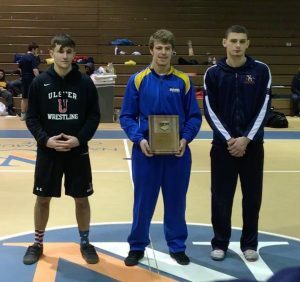 Wallkill Freshman Mike Fekishazy was an individual champion for Ulster winning the 184 pound weight class with a pin in the finals. 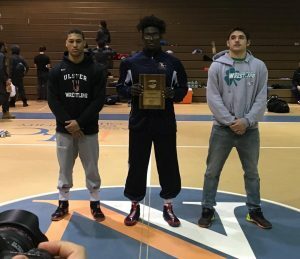 Bruce McLee, Patrick Carroll and Matt Shields all finished 3rd in their respective weight classes and Lakell Martin finished in 4th place. 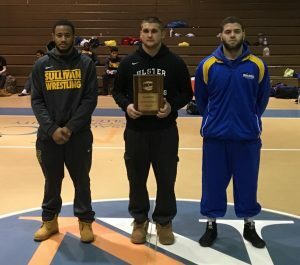 All 4 along with Fekishazy earn All-District honors and earned automatic qualifying bids to compete at NJCAA Nationals in 2 weeks in Council Bluffs Iowa. 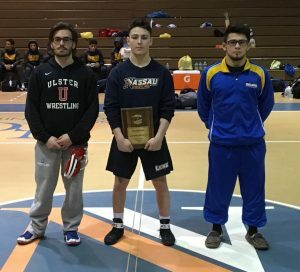 Javier Castaneda and John Miller both also placed 4th and Frank Cincotta was 6th earning them All-District honors as well.